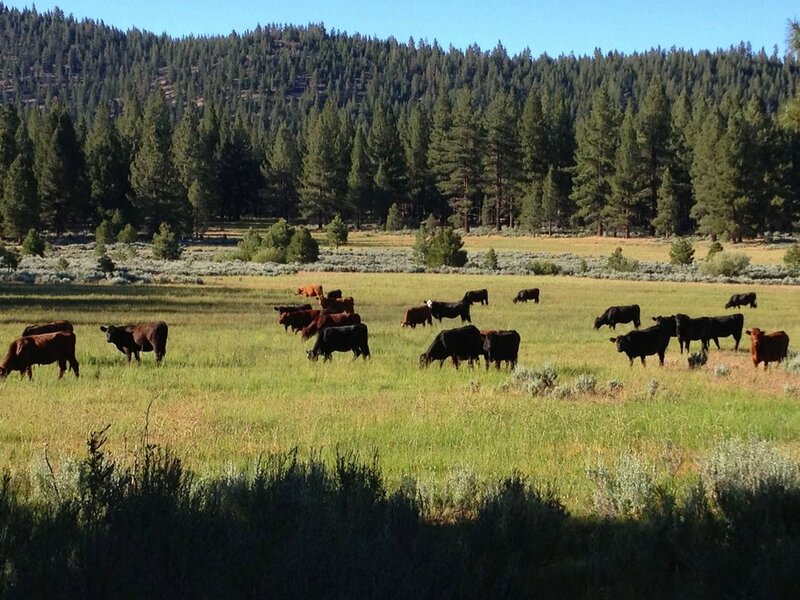 We are a single family owned ranch and own our cattle throughout the entire process. This means that from conception to harvest we have 100% control of every single animal and never source from any outside ranches. Our highly skilled management team has focused on developing a quality Angus cattle herd, and a four season breeding program to synchronize the cows nutritional requirements with the forage available. Currently grazing cattle in six different counties in Northern California allows us to match the cattle to the best grasses at the most optimal time of the year. Since we are able to move cattle according to the feed sources throughout the state our cattle remain 94-97% grass fed throughout the year. In order to provide the same quality of beef year-round we have also developed a short term feeding program to complete the cycle which combines hay grown on our ranches and a feed ration that keeps the cattle in the best health possible prior to harvest. Every animal that goes into our program is hand selected for harvest based on their performance and conditioning. We feel that this unique program allows us to provide a consistent product that meets our own personal quality standards and our ultimate goal of providing the consumer with the best tasting beef available. Green grass is not available year-round in California. Due to this seasonality we have developed our feeding program to include grain in order to ensure that our beef is consistent in taste, marbling and palatability year-round. Our cattle are grass-fed throughout their entire lives on pastures, range lands and hay and are grain finished for the last 90-100 days on locally sourced, Non-GMO verified feed sources, such as rice bran and barley.